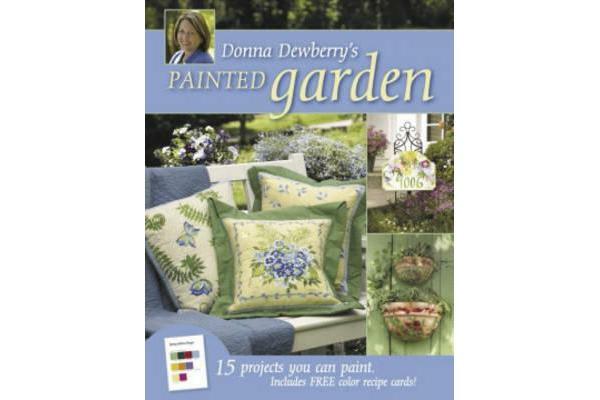 “Donna Dewberry’s Painted Garden” features 20 step-by-step projects painted on outdoor furniture and accessories using tough and durable acrylic paints that resist fading and weathering. From Adirondack chairs and patio tables to planters, window boxes, porch pillows and butterfly houses, there’s something here for every taste and budget. 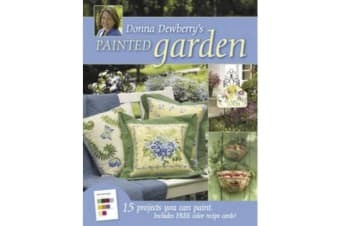 Readers will enjoy the beautiful colour photos of Donna in the garden as well as sidebars of Donna’s favorite gardening and outdoor entertaining tips and hints. A bonus section called “Donna’s Colour Recipes” presents all the paint colours used in the book on handy recipe-sized cards readers can tear out and take to the store to reference colours.